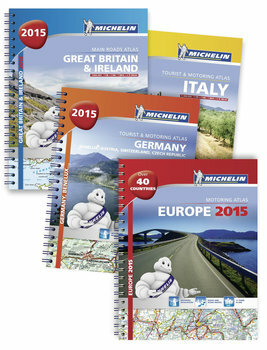 Large Michelin Atlases are perfect for the traveler who wants to drive through Europe. Each spiral-bound atlas opens to a big, full-color 11"x18" spread, making trip planning and navigation a snap. These large atlases also include driving distances, specific town plans, route and distance planners, easy-to-use legends and a helpful index.